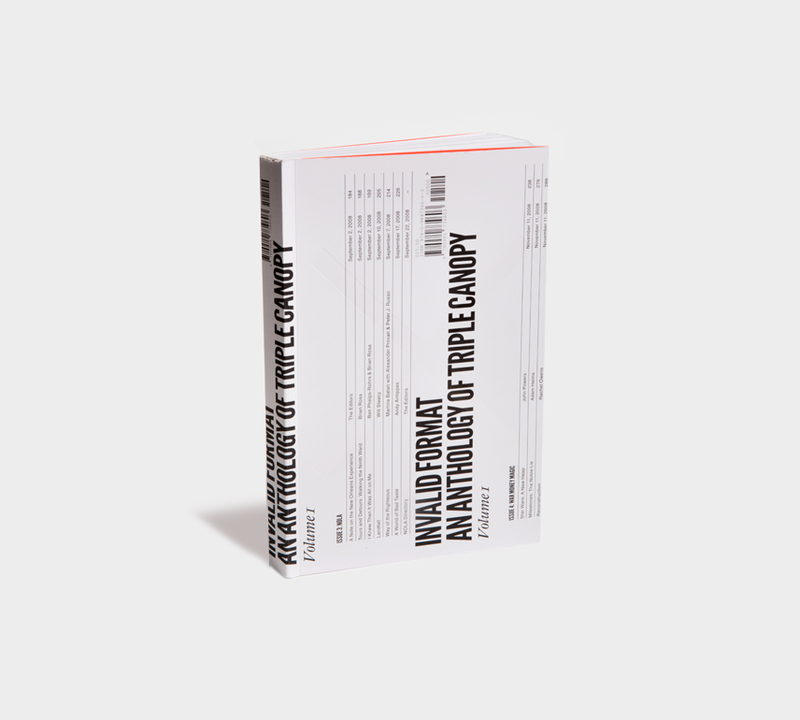 Perfect-bound, 336 pp, 6" × 9"
The initial volume of Invalid Format includes artist projects and literary work published in the first year of Triple Canopy’s existence, documentation of public programs, and a sampling of foundational correspondence. Contributors include Lene Berg, Joseph Clarke, Rivka Galchen, Adam Helms, Sheila Heti, Dan Hoy, the International Necronautical Society, Craig Kalpakjian, Jon Kessler, Wayne Koestenbaum, Rachel Mason, Amir Mogharabi, Rachel Owens, Ed Park & Rachel Aviv, the Poetic Research Bureau, John Powers, Emily Richardson & Iain Sinclair, Michael Robinson, and Diane Williams. Distributed in North America by ARTBOOK | D.A.P., New York, and in Europe by Motto Distribution, Berlin.